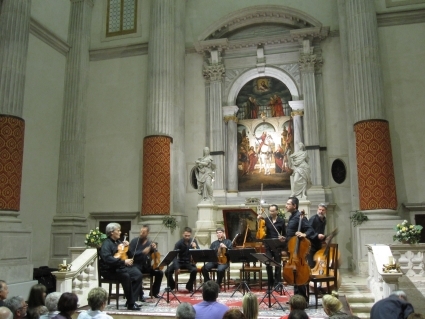 Venice’s premier concert venue is the Teatro La Fenice, a spectacular theatre whose interior is a decadent ensemble of frescoed ceilings, plush red velvet and gilded artwork. Over its tumultuous 218-year history, it’s been the site of many famous operatic premieres as well as twice being burnt to the ground and completely rebuilt. 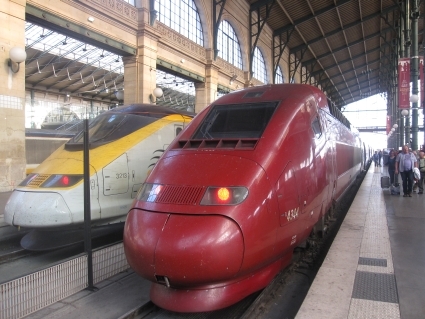 Mention rail travel in Europe and most people think of France’s TGV. What’s less well known is that Europe’s high-speed rail network extends north into Germany and south into Spain and Italy. Taking the train is not only kinder to the environment than flying, but you also get to see some of the scenery you’re hurtling through at 300km/h. So, on a first trip to Italy with my girlfriend, we decided to let the train take the strain. We’d take the overnight train from London to Venice via Paris and then use the train to get between Venice, Florence and Rome. We also chose to stay in properties from the same chain, in this case boutique hotel operator Baglioni. It turns out to be an inspired decision. The hotels all have access to the same reservation system, so they can easily make arrangements and check bookings. It sounds like a challenge from Mission: Impossible – travel more than 2500 kilometres, visiting nine cities in four countries in seven days. And all without setting foot on a plane. In most continents such a feat would be impossible but Europe has a high-speed rail network that is the envy of the world. From Paris its tendrils reach up into Britain, Germany and the Netherlands and down into the south of Spain and Italy. 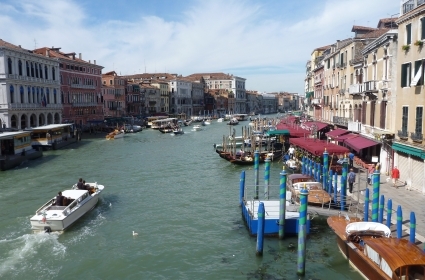 Overnight trains mean you can leave London one afternoon and wake up the following morning in Venice. Or Madrid or Milan or Rome. The advantages of rail over air travel are compelling. No more trekking to airports miles outside the city. No more liquid/gel/clear plastic bag shenanigans at customs. Trains depart from and arrive in city centres. They’re rarely late. They have comfortable seats, tables and dining cars. Some even have special family areas and Wi-Fi access. And, of course, you get to see some of the country you’re whizzing through at 300km/h. On paper, there seems to be little contest. But what’s it really like? Is it really that easy? Do the trains run on time? Are they clean? And, most importantly of all, does it feel like a holiday? On a whistle-stop tour of Britain, Belgium, France and Switzerland, I found out.